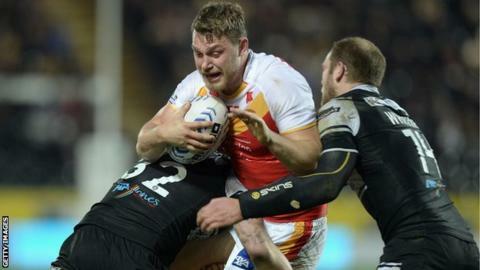 Catalans Dragons second-row Elliott Whitehead did not break his ankle in the weekend defeat by Bradford Bulls. The 24-year-old, was substituted in the and still faces several weeks out. He has scored nine tries in nine Super League appearances this season. "Elliott has been outstanding this season. It's a big loss for us, but I am pleased it is not a fracture as we feared it could be after the game," said head coach Laurent Frayssinous.